Computational Fluid Dynamics (CFD) is a digital form of aerodynamic analysis. It allows the aerodynamicist to gain a more detailed understanding of a flow field around or through a vehicle, as well as a wide range of other analyses. ARC offers full CFD services, from external aerodynamics, internal ducting HVAC, thermal, hydrodynamics analysis using ELEMENTS CFD software. ARC offers the unique advantage by offering individual runs over CPU hours, this guarantees the customer a set number of results, regardless of simulation complexity and assumes no project cost overruns due to running out of CPU hours. For longer term projects, ARC rents out a set number of cores from its in-house computing power. Adjoint solver runs are offered on a per run basis. Our customers either provide us with digital models or physical parts that we can digitize using ARC's reverse engineering services to create surfaces from scratch. ARC maintains its own in-house High Performance Computing (HPC) data center for maximum customer privacy. Current cluster computing power includes more than 10 teraFLOPS and 600+ cores. More than 1,000 additional processors are also accessible remotely outside of the headquarters. ELEMENTS is a CFD software CAE suite built for motorsports and the transportation industry. Created and coded by Streamline Solutions, a joint venture between ARC and ENGYS Ltd. ELEMENTS offers unprecedented advantages over existing CFD CAE products for motorsports, production cars, commercial trucking and bicycle analysis. 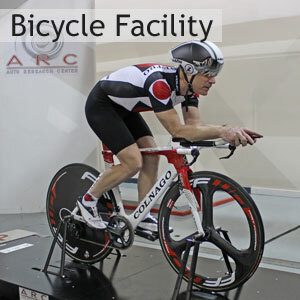 By using ARC's unique array of specialized testing capabilities, ELEMENTS has been validated on over 100+ models using physical data from the ARC rolling road wind tunnel and other full scale testing. ELEMENTS offers a cost-effective solution that combines the best of vehicle design simulation practices, all within an easy to use GUI that requires no third party software. It is powered by a custom code based around the OpenFOAM® library. ELEMENTS allows stylists, engineers, aerodynamicists and management to use it and will allow companies to reach a complete design package faster, improve vehicle efficiency and lower costs. ARC uses ELEMENTS for all customer based CFD projects. ELEMENTS is also available for purchase at an affordable price, contact ARC today via email or by calling 317-291-8600. ELEMENTS has an Adjoint solver, it allows for a more efficient way to optimize designs, testing more variables than a typical parametric optimization. Most adjoints use 1st order accuracy (poor), whereas ELEMENTS Adjoint utilizes 2nd order accuracy (better) and industry leading quasi-transient (best), to deliver better predictions for improvements. Quasi-transient offers the best prediction in sensitive critical areas where flow is dominated by transient turbulent structures. Adjoint is the optimal solver to use for internal flows and shape optimization. Using sophisticated flexible modeling techniques, the Ajoint code automatically morphs to the best shape for the targets. For example, shape optimization takes the exterior of a car and shows whether you should push or pull on the surface to improve a given parameter, or set of parameters (drag, downforce, efficiency, balance, etc.). This delivers in a single run what would take many hundreds, or thousands, of CFD runs to deliver using traditional parametric techniques. Adjoint is useful at any stage of the design cycle. During early styling design and aerodynamic development it not only identifies areas that are very aerodynamically sensitive, but suggests areas where the greatest gains can be found. Adjoint is streamlining the aerodynamic development process and having a direct impact on wind tunnel testing. 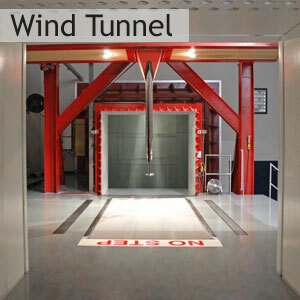 Results from one Adjount provide enough information to write an entire wind tunnel test matrix. To start using the Adjoint solver to lower your design time and opitmize body and duct shapes faster, contact ARC today via email or by calling 317-291-8600. ELEMENTS by Streamline Solutions, a joint venture between ARC and ENGYS Ltd., is used in tandem with a 1D code to evaluate and optimize the air side performance of a cooling system, including heat-exchangers, fans and HVAC modules. Exceptional computing scalability (minimal HPC licenses) permits quick iterative cycles. To obtain thermal analysis using ELEMENTS for your project, contact ARC today via email or by calling 317-291-8600. To further improve aerodynamic understanding and reduce vehicle drag, sliding mesh technology is a means to analyze unsteady effects of vehicle motion. Instead of an object standing still and the air moving past it (like in a wind tunnel), this technique allows for the air to stand still and an object move through it. 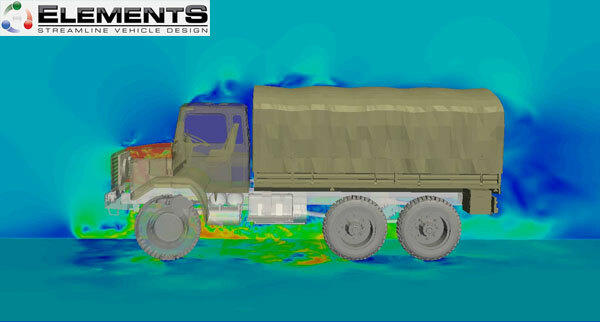 ARC's ELEMENTS CFD package offers this sliding mesh technology via the Arbitrary Meshing Interface (AMI) approach. This technique allows simulation across disconnected, but adjacent domains moving relative to one another, such as rotating wheels on a car. Vehicle simulations are now more accurate than ever. Full training and support is offered to help users get productive faster and get the most out of HELYX. HELYX is available for both Windows and Linux operating systems. For more information about HELYX, download the brochure. ARC is the North American distributor for HELYX®, contact ARC today via email or by calling 317-291-8600. HELYX® is a comprehensive commercial quality general purpose CFD tool. This software, developed by ENGYS Ltd, is aimed at all fluid flow engineering solutions. Each purchase of HELYX® comes with HELYX-GUI, HELYX-Core, support, code maintenance updates and documentation. HELYX-GUI is a graphics interface to make meshing, case setup and post processing easier. By using HELYX-GUI, no separate third party programs are needed and all prior cases can be quickly loaded. HELYX-Core is the CFD Code created by ENGYS Ltd. The Code is based off of OpenFOAM®, but greatly enhances it. Hex-dominant meshing offers high levels of accuracy and more robustness than other meshing methods. HELYX® solvers offer an expanded range of options to allow of any type of fluid flow case to be completed. Have ARC perform CFD analysis for you or to purchase a copy of ELEMENTS or HELYX, contact ARC via e-mail or by phone at 317-291-8600.